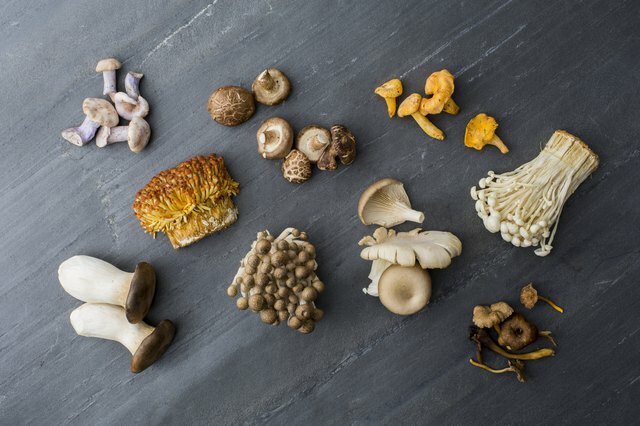 Home cooks generally know the humble button mushroom, but more exotic varieties like chanterelle, morel and other gourmet options are less familiar. Compared with the smooth-capped, mildly earthy button, the bold smoky and nutty flavors of the honeycombed morel or the fruity taste of the trumpet-shaped chanterelle may initially seem intimidating, but gourmet mushrooms are an easy, low-fat way to add flavor to your favorite dishes. Shiitake mushrooms are prized for their smoky, steak-like flavor and meaty, dark-brown caps. Their distinct, pleasing flavor makes shiitakes an excellent side dish on their own – simply oven-roasted, then sprinkled with salt – or starring in dishes with bold flavors like stir-fries. 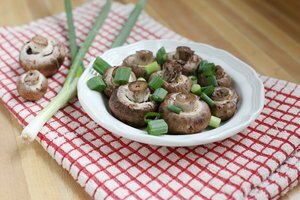 Shiitakes may be purchased fresh or dried, but the stems are too tough for consumption; save them for flavoring soups or making stock. 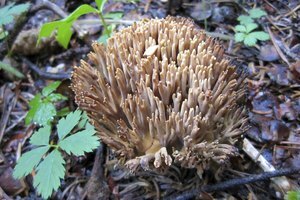 The rippled, fan shape of this wild mushroom is said to resemble that of the body of a hen, earning the maitake the moniker “hen of the woods.” The woodsy flavor of the maitake makes it ideal for punching up the richness of any dish that calls for mushrooms, such as soups and stir-fries, though its flavor is best enjoyed as a stand-alone side dish. Sauté maitakes in butter or oil and serve. 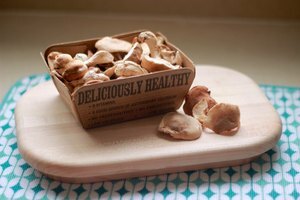 They can be substituted with oyster mushrooms, which usually cost less. The delicate, fruity and delightfully crisp enoki possesses spaghetti-thin stems topped with petite, snowy-white caps that are best enjoyed raw; try them on garden salads or tossed with lemon and sea salt. Enokis also make great garnishes atop hot dishes such as soups, but if you plan on incorporating them into a cooked dish add them toward the end of cooking as heat makes them tough. With a flavor reminiscent of shellfish, raw oyster mushrooms are fairly robust and peppery. Oyster mushrooms benefit from cooking, which makes their flavors milder. 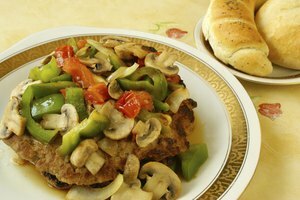 Their sturdy texture stands up to longer cooking times, making oyster mushrooms a great addition to stews. When purchasing, look for oyster mushrooms with caps that are no larger than 1 1/2 inches in diameter as the smaller specimens are considered the best tasting. The trumpet-shaped chanterelle possesses a delicate fruity, nutty flavor that instantly elevates any dish. Try pairing roasted or sautéed chanterelles with sweet meats such as pork or ham. When incorporating chanterelles into dishes such as stuffing, make sure to add them at the end of cooking to prevent them from becoming too tough. Fresh chanterelles can be difficult to locate if they aren’t in season, but they are also available dried or canned. Honeycomb-capped morels have a smoky, earthy, nutty flavor – reminiscent of the ground they came out of – that everyone from chefs to home cooks go crazy for. 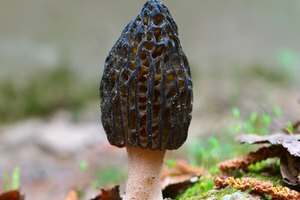 Morels are best enjoyed sautéed in butter, though they also make a great addition to sauces, as their intricate caps are the perfect vessels for trapping flavor. Morels can also be found canned or dried, with dried morels possessing an even more intense flavor than fresh ones. The meaty texture and rich, woodsy flavor make porcini a desirable addition to most any dish. Their large caps can be roasted or grilled whole; or diced and added to soups, stuffings and stews. Porcini can also be enjoyed raw and make a great addition to salads. If you’re lucky enough to find them fresh, select porcini with large, firm caps. Porcini are more readily available dried, and must be softened in hot water for 20 minutes before use. 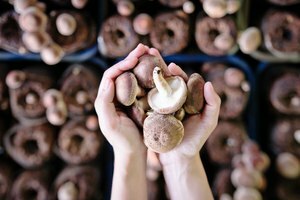 They're also known as cépes, boletes or steinpiltz, and they can show up on gourmet shopping sites under any of those names. Similar in appearance to that of button mushrooms, blewits possess caps with distinct bluish lavender hues that turn tan with age. Blewit mushrooms have a mild but pleasant flavor that pairs well with pork, fish and poultry, but is overpowered in boldly seasoned dishes. They are also excellent stewing mushrooms, but avoid eating blewits raw as they have been known to cause indigestion.